Even though negotiations with Ladbrokes and 888 both failed to reach a final agreement with Playtech despite months of talks it would seem that Playtech is about to acquire Ash Gaming. 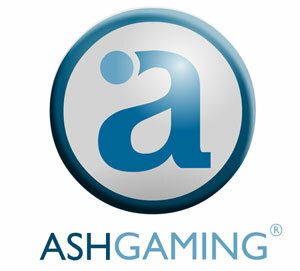 Ash Gaming is a company at the technological forefront of the industry. Ash Gaming is dedicated to and leads the way in online gaming and interactive betting. Founded in 2000, Ash Gaming is the creator of many successful online slot machines as well as a great number of many players’ favourite games. The long list of prestigious online casino operators that offer their players Ash Gaming slot machines and games includes 888, Virgin Games, William Hill and Gala Casino. Ash Gaming is based in London and serves these online casino operators with a staff of only 30 people. Among the most famous of Ash Gaming’s slot machines we have to mention “Alice's Wonderland” which is one of the top online slot machines at Betfair and Madness. Neither of the two companies has yet made an official announcement, but e-Gaming Review has announced that the agreement is in its final stages. Playtech which provides software for online games to online casinos has remained for many years at the forefront of the online casino software industry and setting the market trends. Its products offer a wide range of online games from lotteries to slot machines as well as sportsbook. Playtech’s technology is well recognized by all industry operators and it goes without saying that the purchase of Ash Gaming will be an extra feather in Playtech’s hat, enhancing its strategy and aim to dominate the online gaming market for years to come.